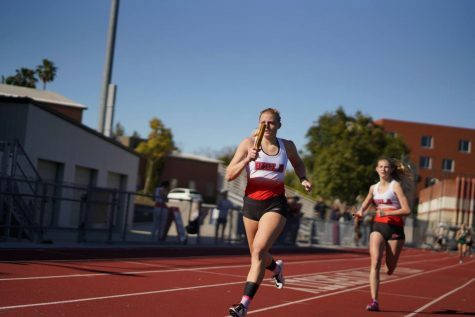 The Eagles recorded their first victories in the Nikki Udria era over a weekend in Arizona. Softball headed to Tucson, Arizona to compete in the two-day DII Cactus Classic on Friday and Saturday, splitting their six games there with three wins and three losses. 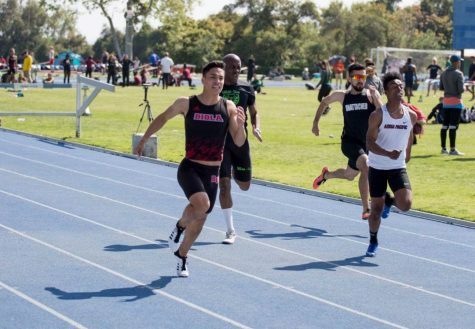 The Eagles recorded their first wins under new head coach Nikki Udria after they lost two close games against Hope International University to start the season. Taking on Saint Mary’s University on day one of the classic, the Eagles got off to a hot start and held on for a 6-4 win. 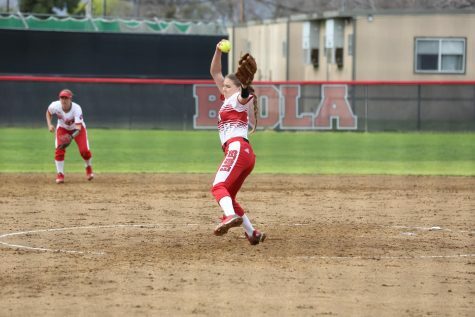 Biola did all their damage in the second and third innings, led by timely hits from senior shortstop Andi Hormel and sophomore second baseman Kylie Velasco, and they fended off a late rally from the Rattlers to pick up their first victory of the season. The offense for the Eagles stayed red-hot in their second game of the day against Oklahoma Baptist University, as they tallied a whopping 10 runs en route to a big 10-4 victory. Junior catcher Kayla Neff had a huge game for Biola, picking up the first RBI of the game on a single and later launching a two-run homerun. Velasco matched Neff with a two-run bomb of her own as she continued her hitting streak to help her team to another win. 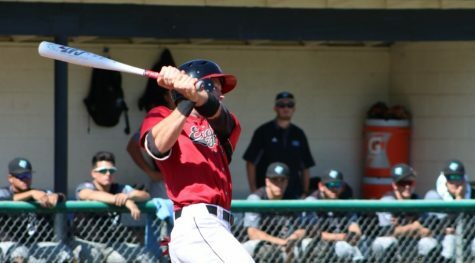 In the nightcap against Colorado Mesa University, Biola’s bats cooled off a bit and they were unable to tame the Mavericks in a 6-3 loss. CMU got off to a quick start, jumping ahead 4-1 after three innings, and the Eagles could not overcome the deficit. 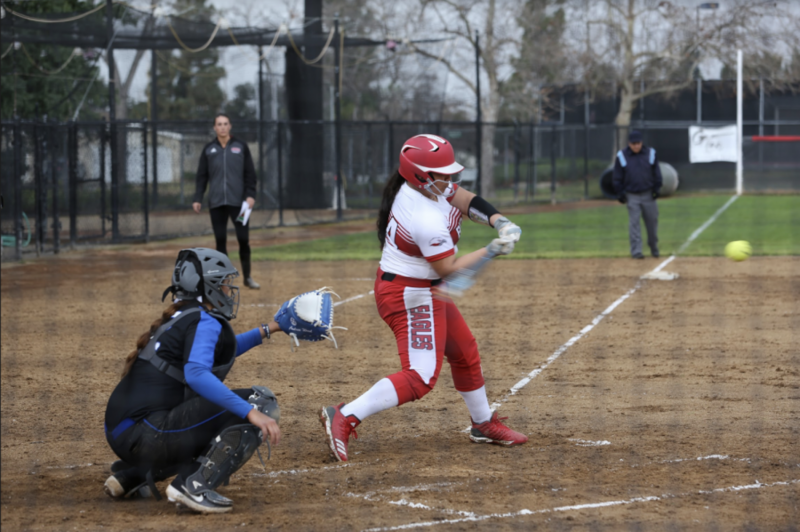 Neff picked up another RBI with a single and freshman center fielder Jennifer Morinishi helped her team pull closer with a two RBI double in the seventh inning, but it was not enough to pick up the win for Biola. 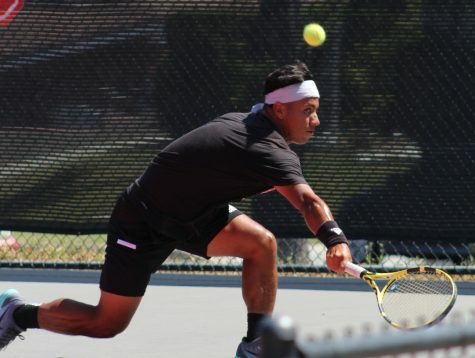 The Eagles added some international flavor to their non-conference slate when they opened the classic’s second day against Simon Fraser University, looking to avenge a close loss last year to the Canadian school. The Eagles and Clan each scored a run in the first inning, but it was all SFU from then on. A single, wild pitch and Eagles error brought three home in the third, putting Biola behind 4-1. Simon Fraser tagged Morinishi, the game’s starting pitcher, for another run in the fifth and two more in the seventh for a 7-1 thumping of the Eagles. Biola’s second game of the day started out scoreless through the first four innings as Damas dominated the Saint Martin’s University lineup all afternoon. The Eagles finally broke through in the fourth inning on a sacrifice fly from Hormel, then scored three more unearned runs in the fifth, highlighted by a 2-RBI single from Morinishi. Damas finished with a two-hit complete game shutout for her second win of the weekend. The last game of the day followed a far different script, as a late Eagles rally fell just short in an 11-10 slugfest against Fort Lewis College. Biola played from behind the whole way after Damas, starting for the second time in as many games, allowed three runs over the first two innings. FLC broke open the game with four in the sixth to take a 10-4 lead, and the Eagles entered the bottom of seventh down 11-5. The Eagles started coming back, though, and a two-out, two-run single from sophomore outfielder Tori Apodaca brought Biola within one, but a fielder’s choice on the next batter ended the game. The 3-5 Eagles will start PacWest play at Concordia University Irvine on Friday, with a doubleheader starting at 1 p.m.